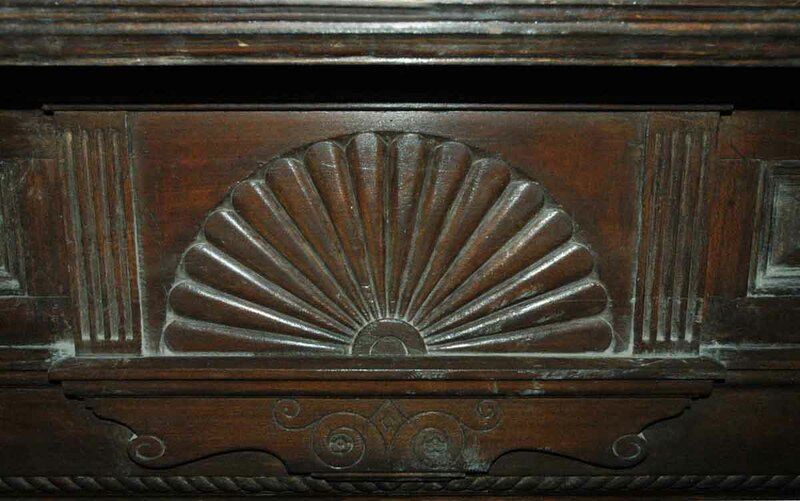 This mantel is from a late 1800s mansion. 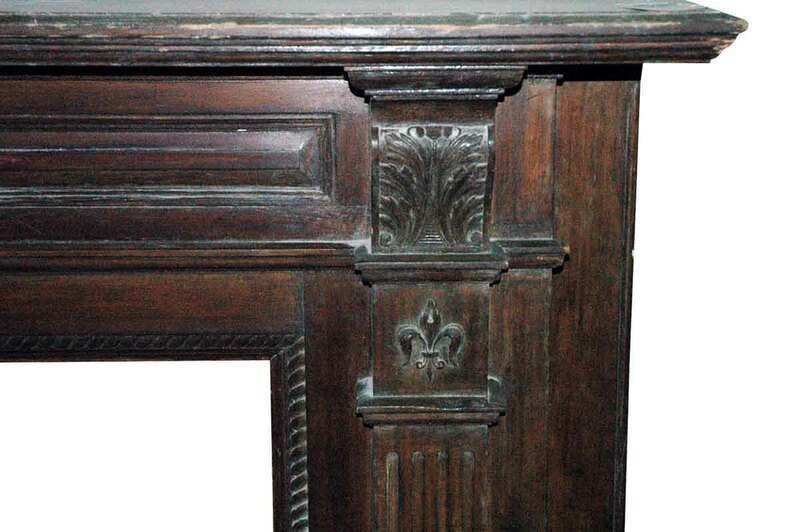 It has beautiful detail, including fleur de lis on each side. The wood is in good condition underneath the paint. 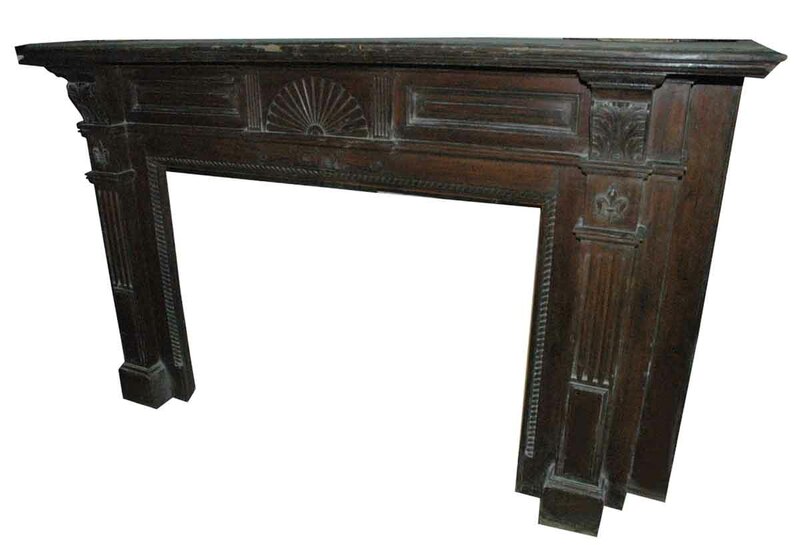 There is a ‘cut out’ on the mantel shelf on the back portion, likely for the chimney. This would need refinishing. 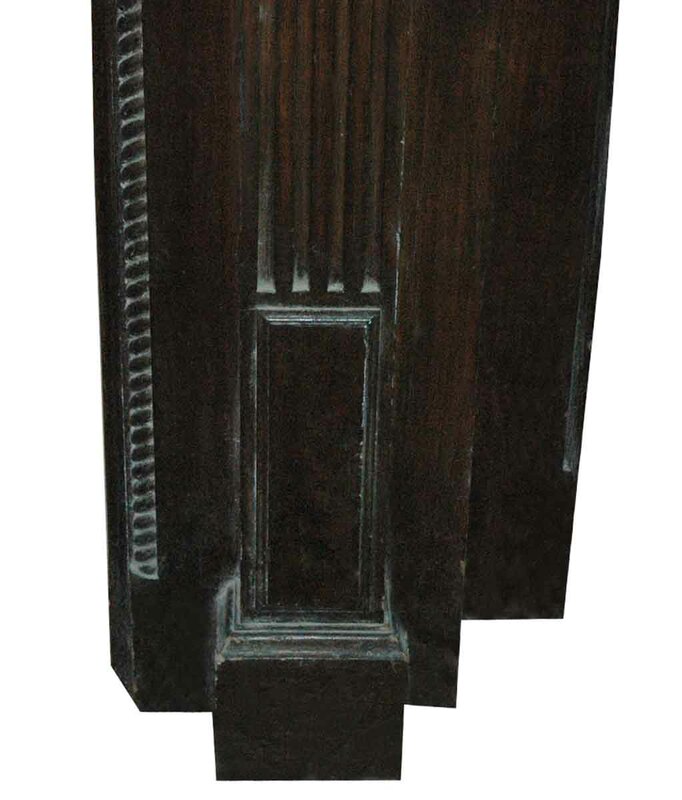 There is a gouge in the wood in front, a few small chips here and there, and the center edge of the shelf would need repair. It has lots of scratches on the top shelf.